Flared mermaid dress for flower girls. toddler mermaid dress with horsehair ruffle skirt. Toddler mermaid dress. 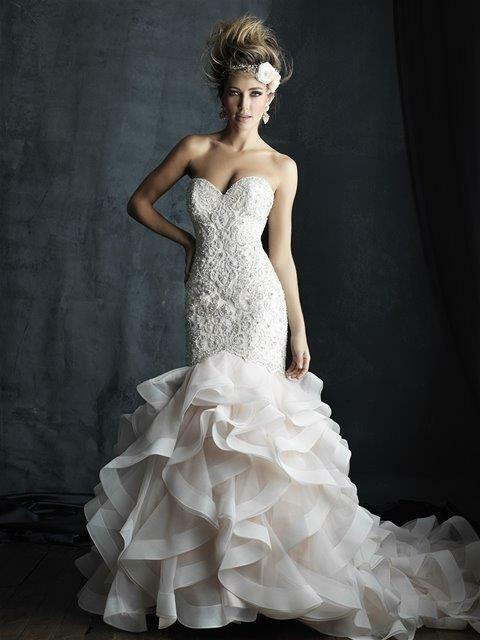 Gorgeous mermaid dress with flared horsehair ruffled skirt. Perfect match for this flower girl. For professional service, shop at Jaks'. 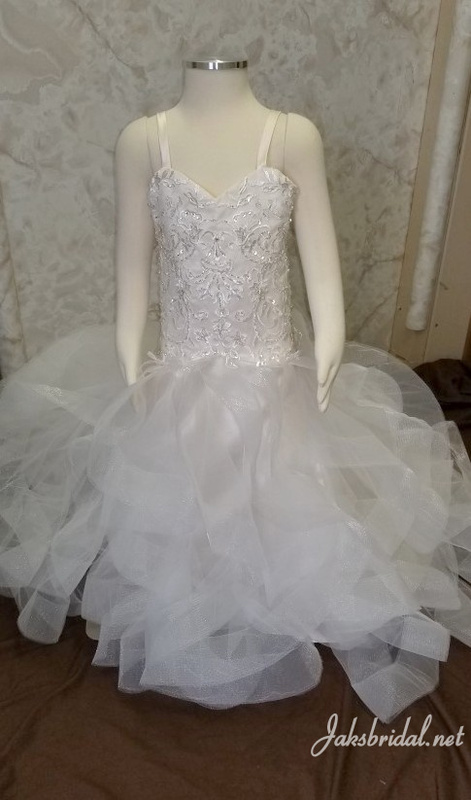 We have years of experience creating original flower girl dresses in every imaginable style to create cherished memories for your miniature bride in her darling little gown. 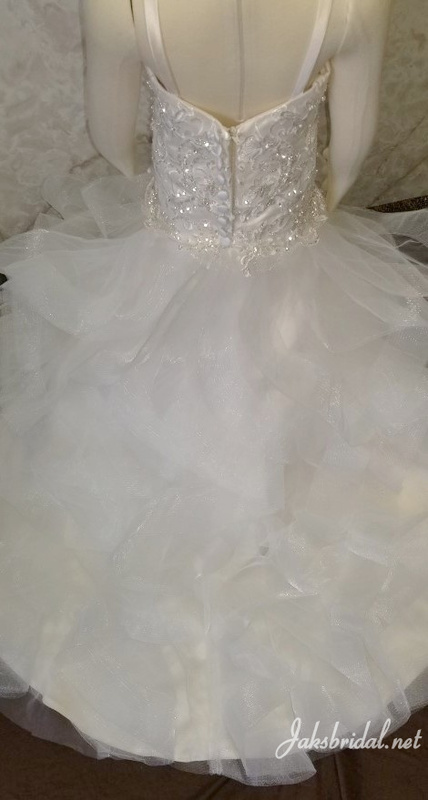 Light ivory over light champagne infant/toddler wedding dress, extends only 32 inches front shoulder to floor. To Inspire your trust this is the photo we received to design this dress. Match your wedding dress. 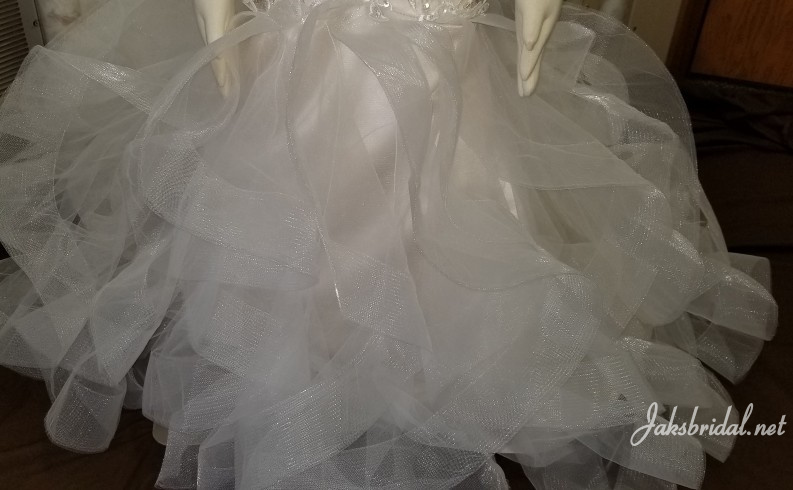 Jaks has created 530 flower girl dress styles for brides just like you. 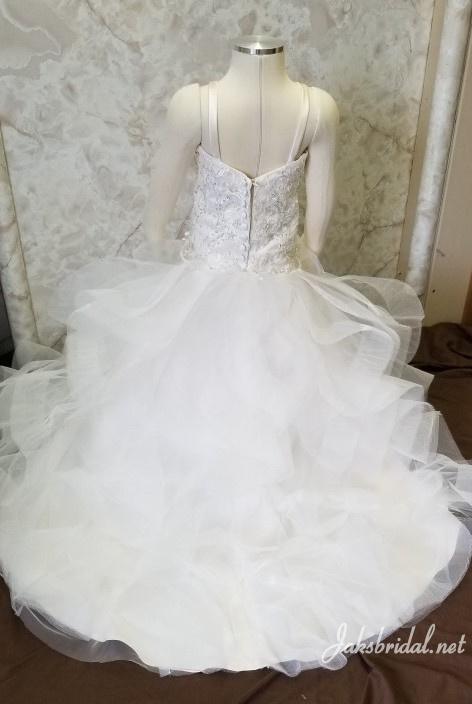 Why do we ask you to send us a photo in your dress?